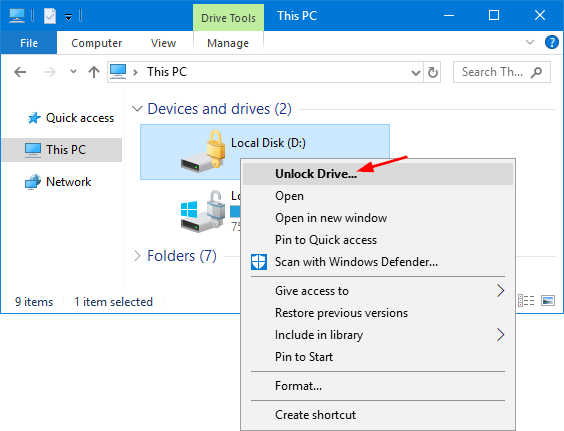 If you’ve turned on BitLocker encryption on a fixed or removable drive, you can choose to unlock the drive with a BitLocker password. 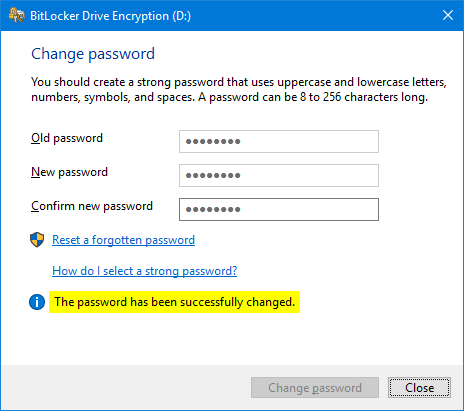 When your BitLocker password is compromised, changing the password should be a top priority. 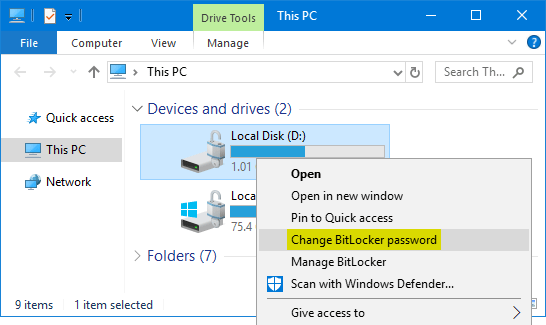 In this tutorial we’ll show you 3 ways to change BitLocker password in Windows 10 / 8 / 7. 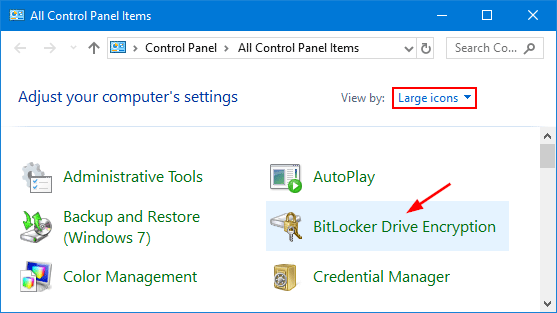 Right-click on the BitLocker encrypted drive in Windows Explorer, and select Change BitLocker password from the context menu. 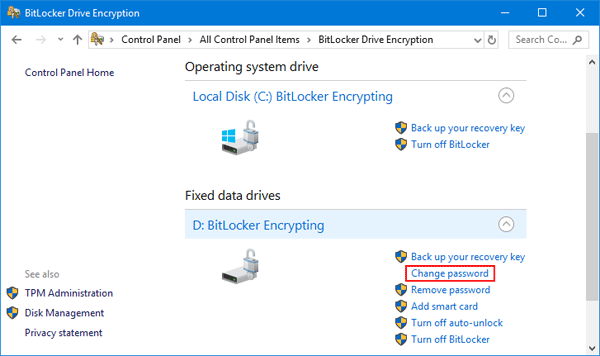 Note: if the encrypted drive shows a gold lock on the icon, then you can’t see the “Change Bitlocker password” option in the context menu, and you need to unlock the BitLocker drive firstly. Enter the old password, followed by the new password (entered twice), and then click Change password. You would be shown a message that the password has been changed successfully in the same window. Open the Control Panel and select Large icons in the View by drop-down menu. Click BitLocker Drive Encryption. 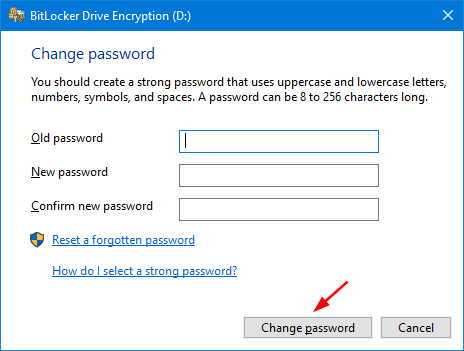 Expand the drive for which you want to change the BitLocker password, and click Change password from the list of options. When the Change Password window appears, type your old password and new password. Click Change password. Now you’ve changed your BitLocker password. Assuming you’re going to change Bitlocker password for drive D:, type the following command and hit Enter. You’ll be prompted to enter the new password twice. Note: your password won’t be shown while you’re typing. 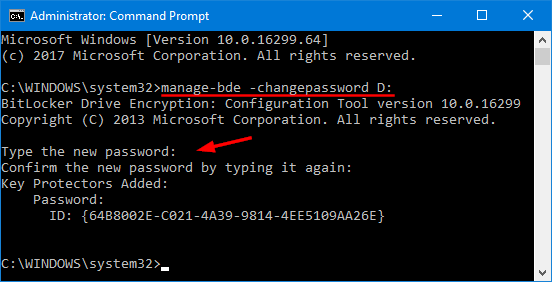 When the password has been successfully changed, you can close Command Prompt. Every time you boot into Windows, you can unlock the BitLocker drive with the new password.